My Cowgirl just celebrated her first official National FFA Week! So hard to believe that I have a kid in FFA! 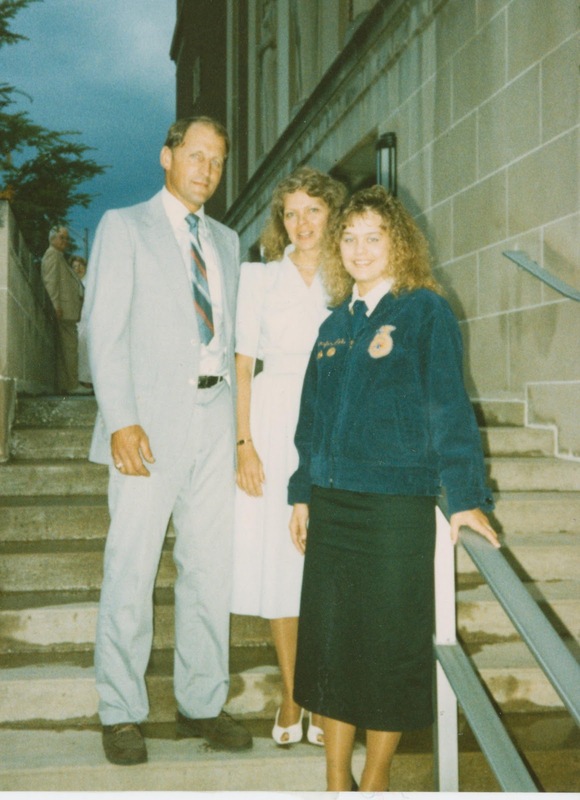 I found this pic of me and my parents getting my Hoosier Farmer Degree, was it really 23 years ago! Of course the very first thing My Cowgirl said when she saw this picture was "They let you get your Hoosier Farmer Degree when you weren't wearing official dress - you don't have on black tights!" She is a third generation FFA'er on both my side and her Dad's side! The first thing her Dad said to her last weekend was "When I was a freshman they dipped our hand in green paint for the day to show everyone we were Greenhands!" And just like her Dad here she is - Our favorite Greenhand! Here are a group of girls in Official Dress at the Monday night spaghetti dinner. 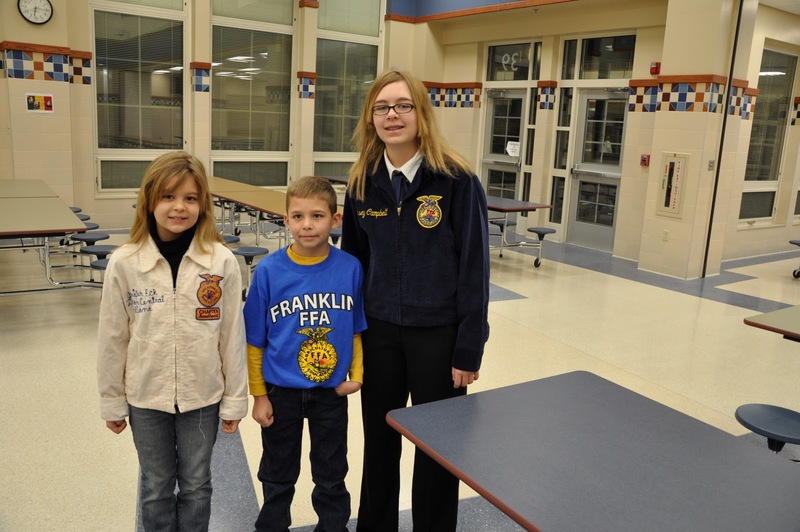 This particular group of girls is competeing in the Ag Issues contest at District contests coming up in March! All the kids that rode or drove tractors to school that morning! 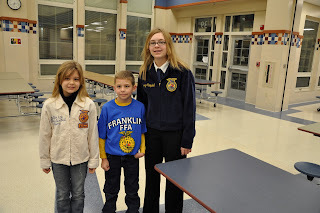 Thursday morning at the pancake breakfast, which was also show your support for FFA Day - and we did - sent all 3 to school wearing their FFA gear - even let My Midget wear my Chapter Sweetheart jacket! FFA is an exceptional program and I am so proud to be a part of it! I am very new at this whole FFA thing but i like the green hand dipping thing! !